Home - SOLA - Enjin - FFXIV Easter Event! Don't get your feathers in a bunch! SOLA's Eggcellent Easter Event is coming up on March 24th at 7pm EST! Our Eggsperts have been hatching some fun eggtivities for our Easter Eggstravaganza! Let me eggxpound on what you can eggspect! ~~~ Auras will once again Hide The Thing In The House! Who ever hops to it and finds The Thing first will win an eggspecially eggcellent prize! This has historically been a pretty hard-boiled event, so bring your best peepers for it! ~~~ Get some wholesome eggercise in on our Eggstreme Egg Hunt! 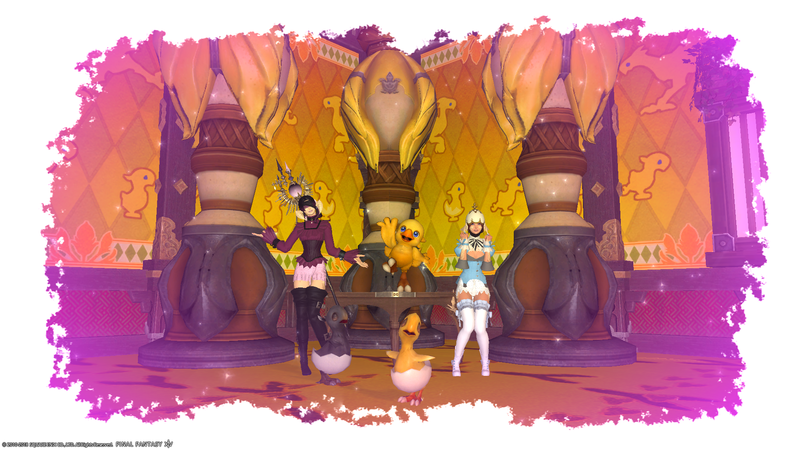 Six of our most eggceptional hiders will be hidden around Eorzea with themed prizes. Whoever scrambles up to their hiding spot first gets first pick from their basket of eggciting prizes! ~~~ Daniel's Difficult Dilemmas! Daniel will be offering up his intreggcate riddles in FC chat! Be the first person to send him a Tell with the eggxact answer to win a prize! If you're not sure, make an eggucated guess! 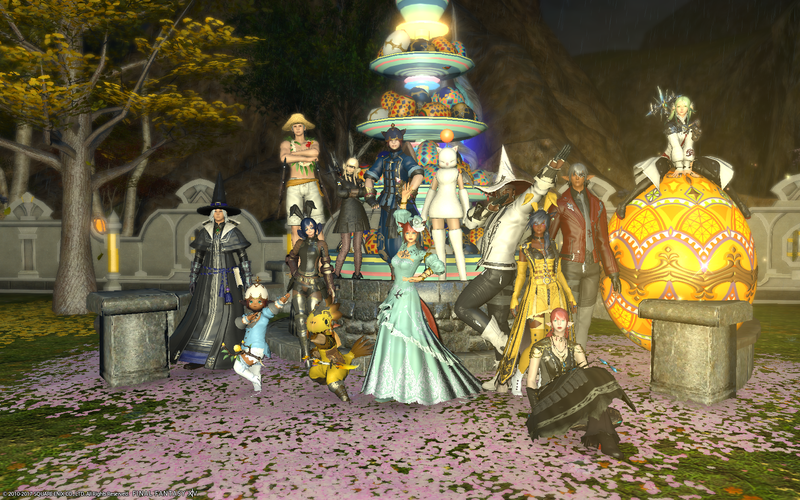 ~~~ As the night beats down we may eggscape to the Golden Saucer for a couple Chocobo Races! Egg your friends on as we earn MGP! Dyeing to know what the prizes will be? We'll lay them on the day of to prevent them turning rotten. Bonus points to people who can count how many Eastery-themed words/puns in this post! It was egghausting coming up with them all. Omelettin’ you slide if you can't find them all.